Born and raised in Miami, Florida, Christinna O's unique journey has shaped her art in a distinctive and honest way. 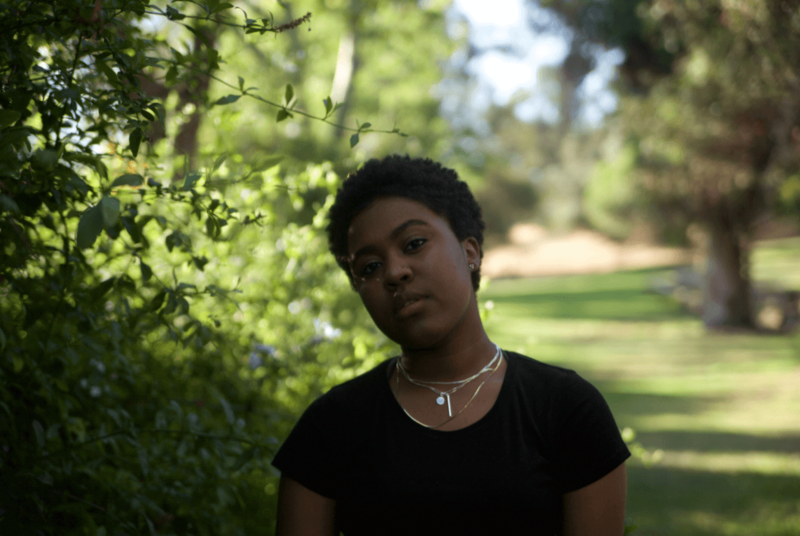 Singer/songwriter and poet, Christinna O, has a lot to say, and who's talented voice, both sonically and verbally, grants her the ability to move audiences with her words. School can be tough at the best of times, but at the age of 12, Christinna was being bullied to the point her mother decided to pull her and her brother out of public education to be homeschooled, something Christinna was dreading for a “multitude of reasons”. However, this proved to be a double-edged sword; as Christinna’s social life became essentially nonexistent, she turned to writing poetry as a means of expression in what she describes as an “introspective timeframe”. “It was the first example of something that is me” Christinna says about her initial poems. She goes on to say “You don’t know who you are at 12/13, but those creations budded this ‘thing’ of identity”. ‘Silent Speaker’ was the very first poem Christinna wrote, back when she was 13 years old. In it, she describes how much to say to her family, only to be heard as “white noise”, a frustration we all feel in our youth, but was amplified for Christinna, as she was unable to vent to her peers. Her last line of the poem – “I would fall on deaf ears” speaks volumes of the artistic persistence that followed. It was during this time that Christinna began experimenting with music too, and the following year, Christinna’s father bought her the tools she needed to begin recording. Armed with a microphone and software, Christinna set up her DIY studio in the hallway of her house, making her routine to record whenever she could – “When I would finish my classes at like, noon, I would go straight to my computer, and I was either recording music, or I was recording the latest cover and figuring out how to get it either on Soundcloud or YouTube”. Christinna felt a “sense of urgency” about her recordings, as she was asking herself what she has to offer, and what she has to stand by when she is back with the rest of society. Her covers would go on to gain a positive response, to the point people from around the world were asking her to write and upload her own music. Christinna returned to public education at the beginning of High School, and her passion for words really began to show in English class. One of her teacher’s exercises involved taking a chosen word and incorporating that word into a piece of writing, be it a narrative, a poem, or just how their week was going. Christinna used these exercises to “show off” her writing abilities and quickly became her English teacher’s favourite to share these “snippets” with. Christinna was then prompted to share her poems with others, specifically one she had written called “White Chalk”, a poem written following the Trayvon Martin killing. Although “White Chalk” was about this particular incident, it covered the broader spectrum of “the rise and the incline of Black deaths in America as we were seeing it”. Christinna performed this poem at her school’s Black History show. Following the reaction she gained from performing live poetry, she turned to YouTube for further inspiration, and it was there she discovered her favourite poet, Miles Hodges, and his “cathartic” performances. Ultimately her passion for poetry and performance fueled her songwriting to follow. When it comes to Christinna’s music, the genre is almost irrelevant on the ground level. Musical genre still holds its place as a signpost for many artists, but as her influences are so vast and that “every session is always a different approach” for her, she isn’t defined by a single genre. Her debut 2018 single “Shelter” has a modern R&B influenced sound, with a hook asking “Do I be shelter? Do I be what keeps you warm? Do I be shelter that you use to weather the storm?”. When asked about the decision to record ‘Shelter’ as her debut, Christinna says the track “could have been about anything”. At that specific time, the weight of her emotions towards that specific incident moved her to write what came to be ‘Shelter’. Christinna recalls arriving at the session, with the hook written, and from there, the instrumental was created, with verses to follow. This collaborative approach, working closely with producers yields different results each time, and Christinna finds herself back in the studio whenever she has downtime from her College work. Her writing process hasn’t completely changed though, and the importance of writing in solitude is still very much present – “I get a lot of different things and components out of myself when I’m working alone that I will not get, period when I’m in the room with others”. For Christinna, 2019 is about taking the opportunities that come with her music, with plans to perform her music and poetry as much as she can. As for right now, Christinna recently released “Lay It Down”, the second track released from her upcoming EP “Girl in Passing”.